Forklifts serve a number of purposes in construction and shipping businesses. What makes them so versatile is the variety of accessories available. If you are new to forklifts, you may be wondering what some of those accessories are designed to accomplish. Here is your handy guide. Forks are the most important part of a forklift. 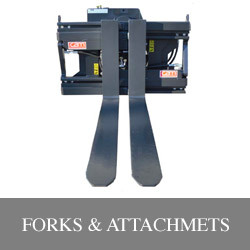 Most people seeking to purchase one know they need forks but they don’t realize there are other accessories that can enhance the ability of their forklift to work more efficiently. What accessories do you think would help you and your employees? Don’t let the word “economy” fool you into thinking these are of lesser quality than more expensive forks. 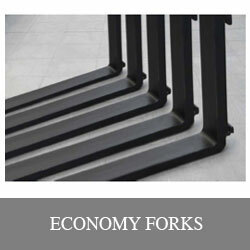 Economy forks come in all the lengths and weightlifting ability and may fit your budget better. Side shifters provide stability for moving a load from one side to another. This allows for greater flexibility in stacking items or removing things from high stacks. 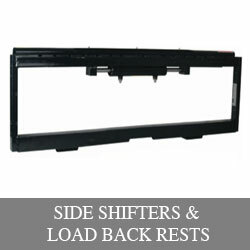 Load backrests prevent whatever is being lifted from falling backward and injuring the driver. 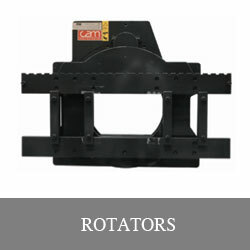 Rotators add the ability of the forks to turn in a 360-degree circle. This increases the ability to reach places traditional forks can’t alone. The classification here determines how wide an area the sideshifter can safely handle. 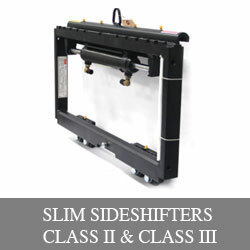 Class II is for narrow aisles that a wider sideshifter may find impossible to enter without causing the possibility of hitting nearby material. OSHA safety standards can tell you which class you need to consider. 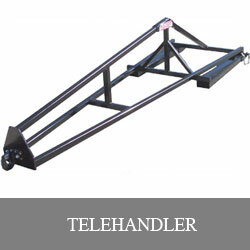 This accessory is a boom attachment that allows the forklift to reach not only upward but also outwardly. This creates an easier environment, especially in construction, where material needs to be lifted up to a second story or higher and then placed on a platform that may be back from the edge of the structure for greater stability. A telehandler also allows those working in a warehouse the ability to reach or place items that are several layers deep. This allows for the better use of space. For all your new and used forklift and forklift accessory needs, contact Illinois Lift and check out our current offerings. Our stock is one of the most extensive available and it is constantly changing, so we always have a supply of both popular and lesser-known brands for you to consider. We are confident you will find the perfect match for your needs. Request a quote and find the right equipment today.